Question: Why should I go to the dentist for teeth whitening when there are so many over-the-counter products available? Answer: Over-the-counter products are typically not nearly as effective as professional whitening take-home kits from your dentist. Question: I have a lot of crowns and fillings. Will the whitening agent work on those restorations? Answer: No. Whitening agents of any kind only work on your natural teeth. Question: If I purchase a take-home whitening kit, how often can I whiten my teeth? Answer: You can whiten as often as you’d like, but it’s important to remember that whitening too often may increase the sensitivity of your teeth and, in some cases, can even result in a bluish tinge on your teeth. Question: My teeth are sensitive. Can I still have my teeth whitened? Answer: Whitening can increase sensitivity in your teeth, but that usually goes away fairly quickly. Still, some people with sensitive teeth find whitening to be uncomfortable. Dr. Argandona can tell you whether or not whitening would work for you. Whitening your teeth is one of the easiest and fastest ways to brighten your smile. Take-home whitening kits provided by your dentist are more effective than over-the-counter products. Studies show that a more attractive smile improves a person’s self-esteem! 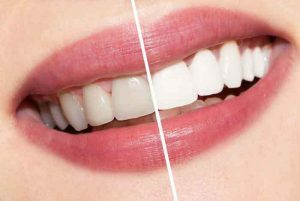 While it’s definitely true that teeth whitening is a great way to improve the appearance of your smile, it’s important to remember that it may not be the right choice for everyone. If you have sensitive teeth, whitening will increase that sensitivity for a short time afterwards. Whitening products don’t work on dental restorations, such as crowns and bridges, for example. And teeth whitening is not recommended for children. For more information about our take-home teeth whitening kits, contact our office today. We offer two convenient locations for our patients: one in Leander, TX, and another in West Lake Hills, TX.